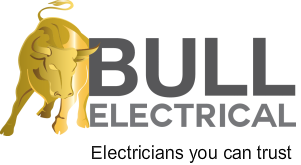 I just wanted to take the time to write and say how pleased we were with Bull Electrical's service. Graeme was absolutely incredible. He was professional, friendly, knowledgeable and patient when my list of jobs kept growing. He put my mind at ease when none of my requests to install an array of pendant lights seemed too hard. In the hours that he was here he didn't even stop for a bite to eat, he was such a hard worker. We just want to say thank you for your help, our lights look fantastic. Graeme gave us a few tips on adding some lights to the outside of our place so that will be next on the list. I was so excited at the purchase of my new David Trubridge light and called Bull Electrical as soon as it arrived to arrange the installation. Firstly, Angela is fabulous to deal with and I really appreciated her quick responses to my emails. Graeme did a fantastic job installing our new light and he knew how excited I was about it so he let me have 'first turn' at switching it on! I am so thrilled with the way it looks and the shadows it makes, that it's pretty much been on ever since it was installed - day and night! Graeme is lovely! He's so calm, friendly, personable and happy. He explains everything in laymans terms and thinks outside the square. I can't rate Graeme and Bull Electrical highly enough. They really do care about achieving the very best result for their clients, and I have no hesitation in recommending them to anyone who wants a top notch service. Good job, good service and great attitude. I have known Tony Bull for many years both on a personal and a professional level. Tony was an integral part of a huge redevelopment project we undertook on our home and has continued to manage and maintain everything on site since the project finished. Tony's work is exemplary and he is both innovative and resourceful. Because of the nature of our development there were many occasions when a degree of lateral thinking (or rethinking) was required. Tony always seemed to come up with a solution for problems and we were extremely pleased with his degree of professionalism. On many occasions Tony had to meet deadlines so as to work in with other contractors or stay ahead of them; this he managed with consummate ease. Our project took nearly 3 years to complete and Tony was here at every stage, from the house extension to the building of all our other structures. He wired everything from tennis court lights to pond fountains and oversaw the installation and wiring of a large generator. In all this time we found no fault with his work and he was a popular member of our contracting team. Even now, Tony is here from time to time and is quick to respond when I have a problem. Being a large rural property very dependent on power it is good to know he is just a phone call away. We cannot recommend Tony highly enough to any future clients. Tony from Bull Electrical did a fantastic job repairing a ‘dodgy’ dimmer and installing two new light fittings in our master bedroom and dining room. An excellent communicator with a happy demeanour, Tony arrived on time and tidied up before he left – you can’t ask better than that! I am more than happy to recommend Tony and his team to anyone needing electrical work done in their home. Tony is passionate about what he does, and always professional. His warm and friendly personality makes him very easy to approach and work with. We have worked with Tony on three projects over the past five years, the latest is a lodge on Waiheke Island. All of them required a huge amount of wiring to encapsulate the latest technology. It astounds me to see the maze of wires, yet Tony never seems perturbed or overcome, in fact, he enjoys the challenge. He is meticulous in his layouts and goes the extra mile, spending time to find out how you will use the room to get the best out of the lighting. He is very creative in his layouts and literally leaves no stone unturned, to create a warm and welcoming ambience both inside and out. We have only good things to say about Tony, his relaxed yet professional attitude makes it a pleasure working with him every time. Should we ever have a problem, however small, Tony never hesitates to call in and help out (which usually ends in a beer, a laugh and a joke or two!) He is a genuine, friendly and a well liked person and we have no hesitation at all in highly recommending Tony to others.